Last month, we had brought you some of the greatest ever love stories of the world. 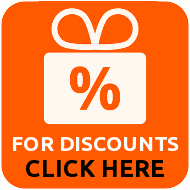 This time, we present before you, the second part of the same article. Here, we relate some more amazing, heart-warming and inspiring tales of true and undying love and passion. We hope you enjoy this experience of amour and ardor. The royal romance of Salim and Anarkali is one of the most popular love stories of the Mughal era in India. Prince Salim was later named Jehangir. Anarkali's original name was Nadira or Sharfunnisa - she was given the name "Anarkali", as she was as delicate and beauteous as a pomegranate bud. Anarkali was a dancer in the court of Emperor Akbar. Akbar's eldest son and heir to the throne, Salim, fell head over heels in love with her. For obvious reasons, Akbar did not approve of their love - he did not think that the lowly dancer was fit to become the queen of the land. But the young lovers could not stay away from each other and continued their torrid affair. 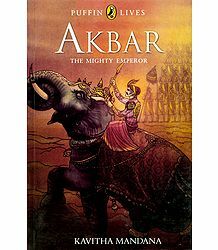 Eventually, angered by the youngsters' disrespect for his orders, Akbar sentenced Anarkali to death. She was encased alive within a brick wall. Though there are different versions of this tale, it is strange that none actually got mentioned anywhere in history books or even in the memoirs of Jehangir. Hence, several historians doubt the authenticity of this story, saying that it was a mere figment of somebody's fertile imagination. However, believers mention a tomb situated in Lahore - this tomb is considered to be that of Anarkali. Located on the premises of the Punjab Civil Secretariat, it is a domed building. On the northern side of this structure are inscribed the words "Majnun Salim Akbar", which literally means, "the Madman Salim - the son of Akbar". Well-known scholar Ahsan Quraishi makes mention of another inscription in the tomb, which refers to how a mercilessly murdered innocent; who died enduring much pain; becomes a martyr in the eyes of God. This inscription, however, does not mention the name Anarkali - it merely alludes to her. Based on the contents of the inscriptions, some scholars believe that the tomb indeed belongs to Anarkali. However, some others aver that the 2 sets of dates on the inscriptions do not match with the era of Akbar's rule and hence, this event never took place during Akbar's rule. Two British travelers, William Finch and Edward Terry, have written about Salim's love as well. According to Finch, there is a monument dedicated to Prince Daniyal and his mother (one of the wives of Akbar) in the city of Lahore. Salim was supposed to have an affair with her. When Akbar found out about this, he decided that his wife should be enclosed within a wall of his palace. She is supposed to have died in this fashion. At a later time, King Jehangir commissioned a magnificent tomb to honor his love to this woman. According to Edward Terry, Akbar threatened to disown Jehangir if he continued his dalliances with Anarkali, his own most beloved wife. But while on his death bed, Akbar went back on his order. An early account by Abul Fazl, the court historian of Akbar, relates the story of a madman carelessly walking into Akbar's harem. Salim caught the man, but was himself mistaken for the intruder. Akbar almost attacked him with his sword, but at the last minute, realized his folly. Most probably, the "intruder" could have been Salim himself and the story would have been cooked up in order to prevent scandal in Akbar's court. The Akbar Nama says that Jehangir was highly enamored with the daughter of Zain Khan Koka. But Akbar disapproved of this love, as the Prince was already married to Zain Khan's niece. However, there is no further record about Jehangir's marriage and when his wives died. In any case, most experts opine that the story of Salim and Anarkali most probably ended tragically, with the lovers not succeeding to take it ahead and enter into matrimony. There are records, however, which prove that Jehangir never had a good equation with his father. Incidentally, Mehrunnisa, later known as Noor Jahan, married Sher Afgan. This further disturbed the Prince, who was already dejected by the failure of his two earlier romances. Dhola Maru is one of the most popular love stories of Rajasthan. The popularity of this story is proven by the fact that, though it was originally set in the 8th Century, it is still remembered by couples in love, all over the world. In fact, many women still address their beloved as Dhola. Women in Rajasthan continue with the tradition of singing songs in praise of Dhola and Maru. The central male character of this tale, Dhola, was the son of King Nal or Narwar state in Madhya Pradesh. His was a child marriage - he was wedded to the daughter of King Panwar's (the ruler of the Poongal state) daughter, Maruvani. Dhola was merely 3 years old when he got married and Maruvani was even younger, at one and a half years of age! Being just 2 little children, Maruvani was not sent with Dhola to his home after marriage. As they grew up, Dhola left this childhood incident behind him and married Malwani. But Maruvani's parents were insistent that she should be sent to her husband, Dhola's home. When his new wife came to know about his earlier marriage, she was furious. She also heard that Maruvani was very beautiful and jealousy caught hold of her. She tried everything to stop them from meeting each other; and even went to the point of getting violent with Maruvani's messengers. Dhola never received Maruvani's messages - they were always stopped by Malwani. Maruvani, though, used to repeatedly dream of him. She started longing to meet her beloved husband. Slowly, she started to lose interest in everything else and repeatedly requested her mother to send more messages to Dhola. She came to know that her messages were being intercepted and never reached him. So she hatched a plan of sending a musician to him, in the hopes that his songs would remind him of her and their childhood marriage. Accordingly, Maruvani gave the singer couplets to be sung in the raag Maru. The singer promised her that if his life was spared out there, he would definitely sing the song and bring Dhola back to her. The singer cleverly planned his visit and managed to present the song to Dhola. He continued to sing even as the sun set and evening darkened. It was a cloudy night, with light rains, a strong breeze, along with thunder and lightning. Keeping the weather in mind, the singer started to sing in the raag Malhar, which is associated with rains and love. The sweet song moved Dhola to tears. A little later, he was shaken to hear the mention of Poongal and Maruvani. As the singer proceeded to sing the raag Maru, his long-forgotten memory started rushing back all at one. 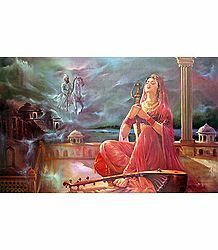 The singer described Maruvani's beauty and grace in a way that clearly brought a picture of her to Dhola's mind. The singer sang all through the night. In the morning, Dhola asked him to bring Maruvani to his palace, but the scheming Malwani managed to stop him from doing so. One day, Dhola visited Poongal and met Maruvani. The lovers were united again and were ecstatic in each other's company. After a few days, he decided to take Maruvani with him. In the meantime, Umra-Sumra too wanted to woo and wed Maruvani. He plotted to kill Dhola, thereby, getting him out of the way. He blocked Dhola and Maruvani on their way to the former's palace. Dhola asked her to remain seated on the camel and alighted from it, in order to talk to Umra. The singer's wife knew about Umra's conspiracy and warned Maruvani's of his intentions. Maruvani decided to take action. She kicked the camel's stomach hard, so that it started running. She started screaming as if frightened and Dhola ran behind her. As he managed to catch up with them, Maruvani warned him of the lurking danger in the form of Umra. Dhola quickly jumped and climbed onto the camel's back. Realizing that he had been duped, Umra tried to give them a chase, but was unsuccessful in his attempts. Dhola and Maruvani reached his palace, safe and sound and lived on happily for ever after. Eventually, his second wife, Malwani, also came round and accepted their love for each other. They all then lived as one happy family, for the rest of their lives. The story of Baz Bahadur and Rani Roopmati is one of the most tragic love tales ever told. Baz Bahadur was the Sultan of Malwa. He inherited the province after his father, Shujaa't Khan, left the mortal world. In the year 1955, he declared his province independent and left on a hunting expedition. One day during this expedition, he heard a sweet voice singing melodious music. He followed the tune, to encounter an equally beautiful shepherdess, singing along with her group of friends. This was none other than the future love of his life, Roopmati. Baz Bahadur immediately fell head over heels in love with her. Being the ruler of Malwa, he could have easily had his men capture her and force her to submit to his wishes. However, being a man of honor, he approached her, asked for her hand in marriage and requested Roopmati to accompany him to his palace. The stunned Roopmati could not refuse the Sultan. However, she laid down the condition that he would, in turn, have to construct a palace for her, which would be within the sight of the River Narmada. The Sultan readily agreed and, in accordance with her wishes, constructed the famous Rewa Kund reservoir of Mandu. This is, do date, one of the most popular tourist spots in Madhya Pradesh. Baz Bahadur and Roopmati got married with great pomp and show, in both the Muslim and the Hindu style of marriage. They were a very loving couple - their union was one made in heaven. Roopmati was a poetess, composer and singer. Baz Bahadur was a musician and lyricist. They were always together and would never stay separate from each other, even for a minute. Slowly, Baz Bahadur started paying less and less attention to his kingdom. In the meantime, Emperor Akbar came to know of his laxity towards his kingdom, while tales of Roopmati's beauty reached the ears of his General and foster brother, Adham Khan. In 1561, Mughal troops, led by Ahdam Khan, attacked Malwa. Baz Bahadur planned to face them with him small army. However, when he saw how big his enemy's army was, he fled from Mandu, leaving his entire harem behind; including and most importantly, his Queen, Rani Roopmati. She was left all along and was shocked at his cowardice. On coming to know about Baz Bahadur's escape, Adham Khan tried to get his filthy hands on Roopmati. However, being the chaste woman she was, she consumed poison and died; thereby freeing herself from any chance of disgrace at his hands. In appreciation of Roopmati's true love and fidelity, Adham Khan buried her with full respect. Baz Bahadur returned to the province after some time and managed to capture Malwa, but escaped again when Akbar invaded the region again. Finally, after wandering about in the jungles nearby, he submitted himself to Akbar, who made him a part of his government. This old tale of Roopmati's love for Baz Bahadur, continues to live on through the folklore of Rajasthan. 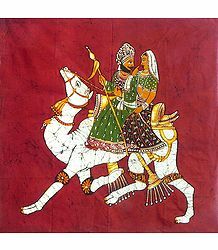 Baji Rao Ballal Balaji Bhat, also known as Baji Rao I, was a respected general, who led troops and won during several battles in the 18th Century. He was also a Peshwa - sort of a Prime Minister. Belonging to the Brahmin caste, he shocked his community by not becoming a priest and instead, choosing to be in charge of troops that would often attack other kingdoms and laying them under siege. Thus, he continued to expand the Maratha Empire. Baji Rao was wedded to Kashibai, who was a quiet, loving woman. They had a fulfilling marriage and had two sons. All was well till Baji Rao fell in love with Mastani, a Muslim girl. Her mother, a court dancer, was Persian and her father was the Maharaja of Chhatrasal. When his kingdom was threatened by another, he requested Baji Rao's help, in exchange, offering his daughter as a gift. There is another version to the story of Mastani. Mastani, like her mother, was also a talented dancer in the Chhatrasal Palace. She was also skilled in horse riding and spear throwing. Baji Rao met her and instantly fell in love with her. He decided to take her as his second wife and asked her to live with her in-laws at the Shaniwar Wada palace. Baji Rao's mother, Radhabai, was enraged when she came to know about this. He took care of her every need and even constructed a lake for her to bathe in. Both his wives conceived at around the same time and gave birth to healthy babies within months or each other. High tension reigned in the palace, with the two women viewing each other as ace rivals. Kashibai was gradually sidelined and Mastani came to the fore. However, the orthodox Hindu community in Pune at the time did not consider Mastani's son fit to become a Hindu. He was raised as a Muslim and was named Shamsher Bahadur. Kashibai lost her child in a tragic accident. From that point, Mastani enjoyed even more attention. Kashibai already hated Mastani. Baji Rao's mother Radhabai and brother, Chinnaji Appa, further fanned her jealousy and hatred towards the latter. Together, they all decided to kill Mastani - the mother-brother duo had planned it all out. Fortunately for Mastani, their plans failed. But all the blame came on Kashibai's head. She and her son tried to explain the situation to Mastani, but the latter would not listen to her. When Baji Rao was away on a trip, she put Kashibai under house arrest. Following this tiff, Baji Rao reserved a corner of the palace just for Mastani, calling it Mastani Mahal. This portion also had a separate doorway, called Mastani Darwaza. Later, he constructed separate quarters for her, away from the rest of his family. During one of his trips to Delhi, Baji Rao suddenly took ill and died. Both Kashibai and Mastani went to see his body at Khargon. Soon after, Mastani committed suicide by consuming poison. A different version of this story says that she jumped into his funeral pyre. Her son Shamsher Bahadur was only 6 years old at this time. Moved at the plight of the lovable young boy, Kashibai took him under her wing and brought him up as her own son. Mirza Sahiba is one of the most tragic romances of Punjab. Sahiba was a beautiful but lonely young woman. Mirza Khan was the son of Wanjhal Khan, the leader of the Kharal tribe in Danabad town. Sahiba was the daughter of Mahni, the leader of Khewa, a town in the Sial District. Mirza and Sahiba were cousins and childhood playmates. As they grew up, they fell in love with each other. When she came of age, her parents decided to marry her off to Tahar Khan. Sahiba immediately sent a taunting message to Mirza, through a Brahmin called Kammu. In that message, she demanded that Mirza should come and ask for her hand in marriage and decorate her hand with henna. Mirza's sister asked him not to go to Sahiban, as it happened to be the day of her own wedding. Even his father warned him against rescuing her, as her brothers would definitely try and kill him. But Mirza never paid any heed to all their talk. He went to Sahiba's place and whisked her away on his steed. After riding for some hours, they decided to rest a little under the shade of a tree. Mirza fell asleep and soon did not know what was happening around him. The couple was being followed as they left her residence. These people were fast catching up, carrying swords and other weapons with them. Sahiba, being a peace-loving young woman, hated bloodshed and hoped that her family would soon forgive her and her beloved for having eloped. She believed that the world was essentially a good place and that only good would prevail everywhere. She knew that Mirza was a skilled archer and would never miss a target. Fearing that her brothers would definitely die if he shot at them, she quietly broke all his arrows while he was asleep. She still hoped that they would see her and Mirza together and feel sorry for them. However, her brothers attacked Mirza. He put up a brave fight and resisted them to the maximum. However, he was critically wounded and eventually died. Shocked and deeply aggrieved by the death of her beloved, Sahiba too took Mirza's own sword and killed herself in front of her brothers. This tragic love story continues to shine in the hearts of young lovers of Punjab. This tale has inspired many films, documentaries and songs. Shivaji Bhonsle, also known as Chhatrapati Shivaji Maharaj, was a valiant Indian warrior king, belonging to the Maratha clan. He was officially crowned as Chhatrapati or Monarch at Raigad in 1674. The Chhatrapati was famed for his disciplined administrative and military forces, as also his well-planned and executed military tactics, including guerrilla warfare, which enabled him to catch his enemy completely off guard and defeat some of the most powerful armies. Starting with a small contingent of about 2,000 soldiers, he created a strong force of over 100,000 soldiers, who worked both inland and on the coast to protect his territory. Apart from the above, Shivaji was also known for preserving and promoting ancient Hindu political and court traditions and also propagating the use of Marathi and Sanskrit, for court and administrative purposes. He is yet regarded as the ultimate hero in the state of Maharashtra. Sai Bhosale, nee Nimbalkar, was the first wife and chief consort of Chhatrapati Shivaji. She was also the mother of Sambhaji, the heir to the throne. The Nimbalkar dynasty ruled Phaltan - Sai's father was the fifteenth Raja or the province. In the year 1630, Mudhojirao ruled Phaltan. Before that, he was held as prisoner by Adil Shah at the Satara Fort. Shivaji's father, Shahji, had helped him escape from there. 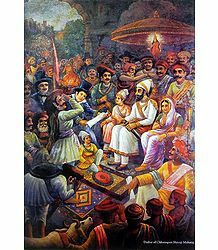 As an act of gratitude, Mudhojirao gave his daughter, Sai, to Shivaji. Shivaji and Sai got wedded in 1640. Saibai was beautiful, charming and wise. There is no record anywhere of her having had any tiff with others, particularly with Shivaji's other wives. Not only that; she was always a valuable asset to Shivaji, both regarding affairs of the State and the royal family as well. She saw to it that their marital life was always peaceful and trouble-free. Shivaji soon learnt to depend on her for everything and in no time, she became one of the most pivotal members of the royal family. During their 19 years of marriage, the royal couple had 4 children - three daughters, named Sakavarbai, Ranubai, Ambikabai and then a son, Sambhaji. Unfortunately, this union did not last long. Saibai breathed her last at the age of 26, at the Raigad Fort, while Shivaji was preparing for a meeting with Afzal Khan at Pratapgad. Ever since she had given birth to Sambhaji, she had started to fall ill often. She left behind her 2-year old son, who was later brought up by Shivaji's mother, Jijabai. Saibai's Samadhi (tomb) is located at the Raigad Fort. Jijabai too followed suit after Saibai's untimely demise. This left Shivaji completely distraught. His second wife, Soyarabai took over the royal household and came to the fore. She, however, was not as affectionate and as close as Saibai, thus further distressing Shivaji. After that, he became but a shadow of his former self and constantly held onto her memories. It is said that the last word he uttered, while on his deathbed, was "Sai". Such was the intensity of their love for each other. The story of Prithviraj Chauhan and Samyukta is yet another touching, heart-rending story of true love. Prithviraj Chauhan was a brave, chivalrous and noble king of the Rajput clan. He ruled over Sambhar. During his rule, he annexed Gujarat, Rajasthan and Eastern Punjab and started ruling simultaneously from his capitals of Delhi and Ajmer. The tales of his valiance reached all corners of India. Samyukta, also referred to as Samyogita, too heard of him and was intrigued by him. She was a Rajput Princess - the daughter of Jaichand, who ruled Kannauj. Jaichand belonged to the rival clan of the Chauhans. He started getting jealous of Prithviraj's popularity and glory. While Prithviraj was known for his personality, Samyukta was famous for her bewitching beauty. The two met and instantly fell in love with each other. They would secretly correspond via letters and messages. When Jaichand came to know about Samyukta's feelings for Prithviraj, he decided to put an end to it. He organized a Swayamvar ceremony (a ritual where the princess is allowed to choose her husband from among many princes present there) and invited several princes and kings. However, Jaichand purposely did not invite Prithviraj and placed his statue at the doorway, indirectly implying that he considered him a mere doorkeeper. Samyukta arrived at the sabha, all decked up in royal bridal finery. She had come to know about her father's plan of insulting Prithviraj. Hence, she had already asked her beloved to be present there; hiding behind his own statue. As she walked toward the doorway, he swooped her up and carried her away on his horse, leaving her father and the other guests looking on in sheer dismay. The two united in matrimony. Prithviraj was so enamored by wife that he almost started neglecting his kingdom and royal duties. This encouraged Mohammed Ghori, an Afghan ruler, to wage war against his kingdom. Prithviraj emerged victorious in the war, but freed Ghori. However, Ghori attacked a second time and this time, he defeated Prithviraj. In order to save herself from disgrace, Samyukta committed suicide. Prithviraj was blindfolded and imprisoned. Chand Bardai, Prithviraj's court poet, disguised himself and managed to be admitted into Ghori's court. He encouraged Prithviraj to avenge the injustice done to him. Later, Ghori allowed him to take part in an archery competition, on the condition that he would shoot arrows only on Ghori's orders. When Ghori ordered Prithviraj to shoot, the latter followed the direction of his voice and shot him to death. Then, he and Chand Bardai stabbed each other, thereby killing each other at once. Thus ended the tragic love story of Prithviraj and Samyukta. Devdas or Debdas is a Bengali romantic novel, penned by the famous author, Sarat Chandra Chattopadhyay. According to the plot, Devdas hailed from a wealthy Bengali Brahmin family in the early 20th Century. Parvati or Paro, as she is called, was a young woman belonging to a middle-class, merchant family. Devdas and Paro were childhood friends. As they grew up, Devdas went away for 13 years to pursue his studies in a boarding school in Calcutta (now Kolkata). After finishing his studies, he returned to his village. Paro was all excited to meet her childhood friend again. She was also in love with him and hoped he would eventually marry her. According to the customs prevalent then, her parents would have to approach his family and request them to conduct their marriage. When Paro's parents visited Devdas' family, his mother insulted her, saying that the marriage could not happen, since they (Devdas' family) were much higher status-wise. Incensed by her behavior, Paro's mother managed to find an even richer and better-placed husband for her. When Paro came to know of her family's plan to get her married, she secretly went to meet Devdas, hoping that he would take her away with him. Devdas tried to talk to his parents about wanting to marry Paro. However, his parents refused to grant him that wish. Upset, Devdas fled to Calcutta and then wrote a letter to Paro from there, saying that they could only remain friends and no more. After a few days, he realized his folly and returned back to the village in order to save their love. However, her marriage had been fixed by this time and so, she declined to join him on his return to the city. She also chided him for his cowardice and vacillation. She, however, stipulated the condition that he should return to her before he died. Devdas promised to do so and went back to Calcutta. Paro was married off to her betrothed; a widower with children from his previous wife. Being much older and burdened with the children's responsibility, he was never interested in maintaining an amorous relationship with her. In Calcutta, Devdas' friend, Chunnilal, introduced him to Chandramukhi, a seductive courtesan. Devdas started visiting her every evening, drinking heavily while watching her dance. Soon, she realized that she was falling in love with him and started taking special care of him. His bad lifestyle, combined with his depression on losing Paro, eventually took a toll on him and his health started deteriorating rapidly. In his drunken state, he would often compare Paro and Chandramukhi, not really aware of who he loved; or if he loved any of them at all. Sensing that his end was near, Devdas decided to fulfill Paro's wish that he should do to meet her before dying. On a cold, dark night, he managed to travel to where she was residing and even reached her doorstep. When Paro heard of his death, she ran toward the door. However, her family members stopped her from stepping outside the door, saying that a married woman was not supposed to go meet a man (whether dead or alive) at that time of night. This was the tragic end of the true love between Devdas and Paro.